Cabinets of the Desert is a supplier and installer of Quality Cabinetry in the Greater Palm Springs Area. We are located at Suite 302 in the Venture Commerce Center, 73700 Dinah Shore Drive, Palm Desert. Showroom hours are Monday-Friday: 9am to 5pm and Saturday: 9am to 4pm. Closed Sundays. Other hours available by appointment. We have limitless design options for quality built semi-custom & custom cabinetry for kitchen & bathroom, home office, den, bar, media systems and built-ins in your home. We are distinguished by exceptional customer service, professional design, and attention to detail. Plus we listen to our clients! Cabinets of the Desert represents multiple lines of quality cabinetry. We have a CMKBD® Certified Master Kitchen and Bath Designer on our team but are happy to work with your own architect, interior designer or general contractor. We also have in-house a California General Contractor’s license and can handle all necessary coordination with the trades that are touched by a cabinet installation. 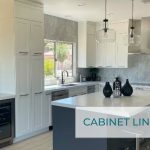 Cabinetry is the focal point of any remodel project and as former successful remodeling contractors, we are well qualified to help you, your designer and your general contractor with cabinetry design, selection and installation. ]We at Cabinets of the Desert are experts in cabinetry and have the experience to create your dream. We work closely with a talented, experienced and CMKBD® Certified Master Kitchen and Bath Designer, who produces all of our cabinetry layout and working drawings. Call or email us for a FREE SHOWROOM CONSULTATION. Please use our kitchen checklist and ideas as a tool to generate your own ideas as to how your new kitchen should look and perform. Do you want family members/guests to eat at a kitchen table or kitchen counter or in a separate dining room or family room? Cabinets of the Desert can help you with your design decisions. Is the bathroom for personal or guest use? Are there special needs which need to be addressed now or in the future? Create your ideal bathroom. What cabinet door styles do you prefer? Plain front; raised panels; arched panels; recessed panels; glass fronts; self-closing doors or drawers? Cabinets of the Desert can help. Take this Remodel Check List and make it your Remodel Wish List. It was developed by the principals at Cabinets of the Desert. Our purpose here is to address the most important aspects of the remodeling process in order to help you arrive at a practical end product in a style to suit you.